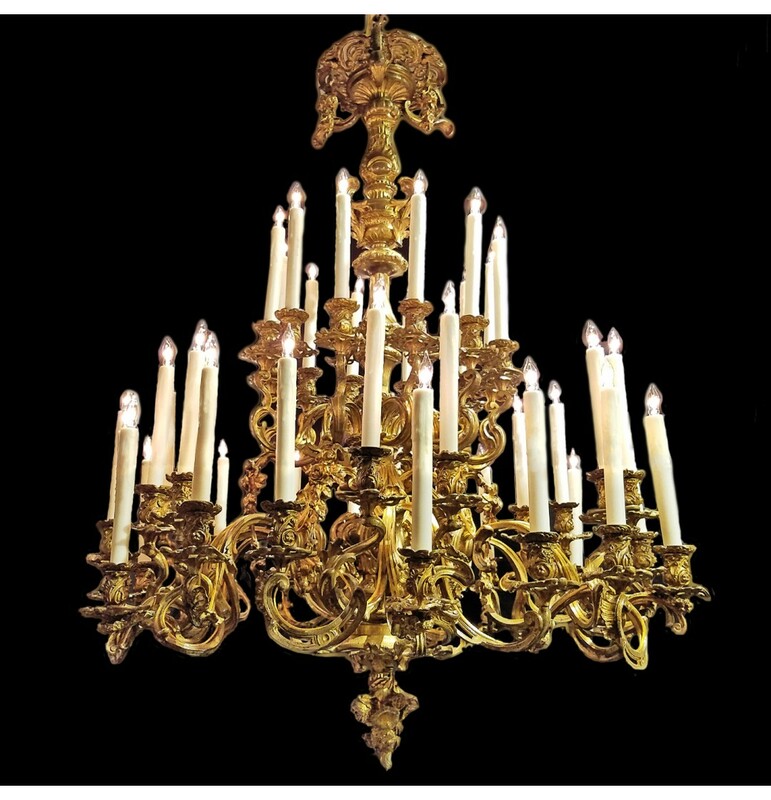 Gilded Bronze Chandelier – Italian gilded bronze chandelier. 42 lights. Circa 1850.